Market leading Adelaide Brekky duo Jodie and Soda are back on the bike for 2019… quite literally. 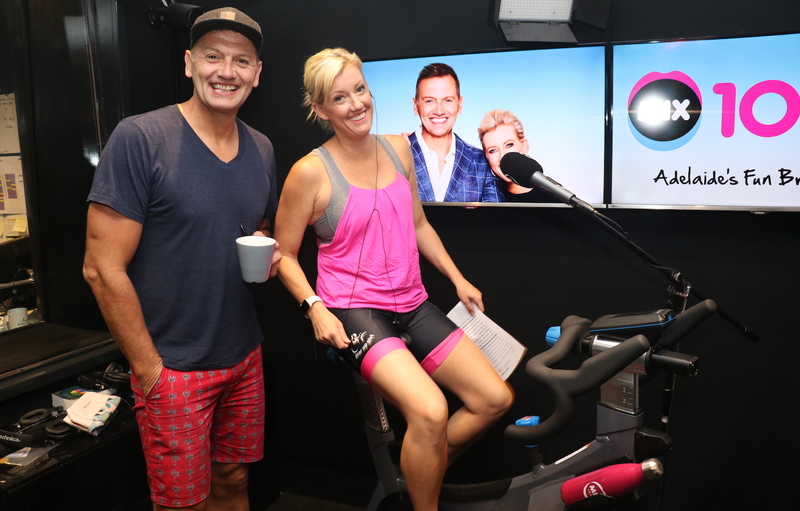 In celebration of Adelaide’s great bike race the Tour Down Under, Jodie bet her Mix 102.3 co-host Soda that the new $60,000 Secret Sound would be guessed and the money won on day one. The loser of the bet had to ride an exercise bike for the entire duration of their next show. When the sound wasn’t guessed, birthday girl Jodie had to present in her activewear from the seat of the bike, getting a taste of what cyclists in the Tour have to endure. Jodie lost a bet with Soda and had to ride an exercise bike for the whole show. On her birthday. On a 41 degree day. Thanks go to Next Gen Memorial Drive and a padded crotch.